The Peer Academic Success Coaches are specially trained to help their fellow students adjust to the university, teach others about campus resources and services, and help you enhance your study skills and behaviors. I'm Samuel Gillespie. 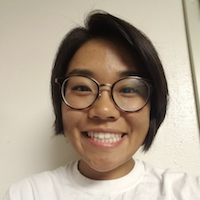 I'm a third year graduating student with a passion for linguistics and helping students navigate UCSC. Within my major I'm a researcehr and a peer advisor. I can be found most days at Stevenson Cafe where I also host my office hours. Hi there! My name is Sierra Reith. I am a fifth year student majoring in Psychology here at UCSC. I am currently working as a Peer Adviser and as the Peer Coach for Stevenson College. I have been working in these positions on and off for about 2 years. I have a huge passion for helping students navigate and figure out their place here at UCSC. College can be a very hard transition, and I know I faced many challenges my first few years, which is why I love my positions of connecting with and advising students about the things that are available on this campus. I am so lucky because I found resources that allowed me to excel in my academic career. I would not be where I am today had I not been connected with the people and resources on this campus, and for that reason I love helping students in any way that they might need. If you would like to get connected, please schedule an appointment with me or feel free to come by my drop in hours! Hello! 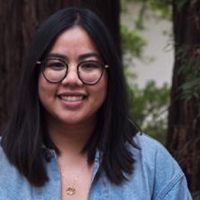 I'm Sarah Alcantara, from Los Angeles, affiliated with Merrill College, and in my fourth year here at UCSC. I'm a Literature major, so I'm usually reading two to three books at a time. I've also served as the Trans-Inclusive Housing RA at Merrill for two years and have been part of one of the literary magazines here on campus, Red Wheelbarrow. When I'm not reading for class/for fun, I'm usually watching movies or sitcoms with my close friends, cuddling with my cat Monty, or doing some crafts and listening to music. Hello my name is Mayeena and I am the peer coach for Merrill! I’m a second year studying Global Economics and Critical Race and Ethnic Studies. 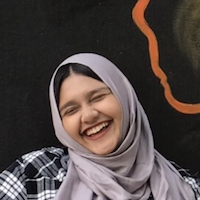 I am also Secretary of Merrill Student Government and Events Coordinator for the Muslim Student Association! Over the summer I worked at Valor Academy helping students apply to college and then as an orientation leader for Merrill's Welcome Week. I also am a part of Merrill's Public Relations Team, what can I say I really love Merrill! In my free time I love too shop (a little too much), eat, and sleep! I'm In love with fantasy adventure novels and Marvel movies. Hope to connect with you all! My office hours are in front of Vivas by appointment. My name is Leslie Anne Madarang and I’m from Earlimart, California which is an agricultural intensive rural town in Tulare County. I am a graduating junior and an Environmental Studies major and Global Information Social Enterprise Studies (GISES) minor. I’m an Academic Peer Coach for Kresge/Porter College and a Student Supervisor at Porter Dining Hall. Through my GISES minor, I have become an Everett Fellow for the Everett Program. 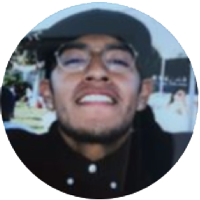 I am also a lead intern with Ecology Action for the California Green Business Program. I have also worked with the Educational Opportunity Program office as a Student Success Intern. As a first-generation college student, I felt I have successfully networked around the campus and utilized most of my resources. If you want to meet with me, I will be at I Lounge at Porter College (across J and K buildings), email me at lmadaran@ucsc.edu to schedule an appointment. Hi! 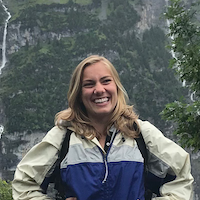 My name is Charlotte O’Keefe Stralka, and I’m super excited to be a new Peer Coach! I’m a second year Politics and Feminist Studies double major from Berkeley. I hope to one day work for a nonprofit and run for office. I’m a member of UCSC’s new IGNITE chapter, an organization that aims to get more women involved in politics and government. I do stand-up comedy on campus every once in a while. In my spare time I love going to the movies, writing, and falling asleep on the couch while my friends and I watch The Chilling Adventures of Sabrina. My drop-in hours this quarter are Wednesday 4-6pm at Cafe Iveta located in Quarry Plaza. Come by and chat with me! My name is Vivian Lee. I’m a sophomore majoring in psychology and computer science. 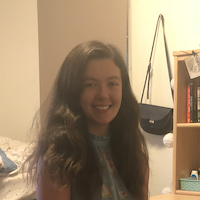 I’m a student athlete on the UCSC Women’s Tennis team and a member of Merrill Student Government. 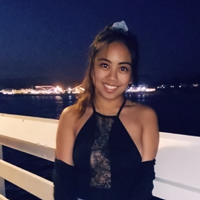 I’m from San Diego and enjoy reading novels, watching movies, going to the beach, and exploring Santa Cruz in my free time. 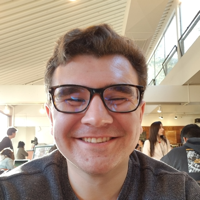 Hi my name is Saul Rios and I am currently a 5th year at UCSC majoring in Computational Mathematics and minoring in STEM Education. I enjoy playing 5-on-5 basketball, video games, working out at the gym, and watching movies. I have been involved with the Cal Teach program, which has really pushed me to go towards teaching mathematics to middle school and/or high school students. Growing up in South Central Los Angeles I realize that the need for STEM Educators is crucial. Cal Teach has given me the opportunity to interact with students from different parts of the region like Gonzales, San Jose, and even lesser known parts of Santa Cruz. I want to continue working with students to help them achieve success by being Peer Academic Success Coach. Hi! 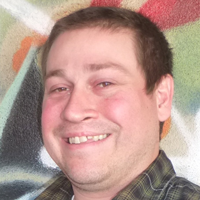 My name is Sean and I work as the Advising Programs Coordinator. I earned my undergraduate degrees in History and American Multicultural Studies from Sonoma State University, and my MA in American Studies from the University of Kansas. I am a first generation college graduate, and am passionate about working with college students. I've worked in a variety of roles with students over the years including resident assistant, peer mentor, graduate instructor, tutor, and academic adviser. In my free time I like to explore the Santa Cruz area with my wife and hound dogs, take pictures, and play basketball. I'm also a big fan of the Oakland Athletics and Golden State Warriors. I feel honored to work with such a dynamic and inspiring team of Peer Academic Success Coaches, and know that they will be an invaluable resource to their fellow UCSC students. Feel free to contact me if you have any questions or feedback about the program.